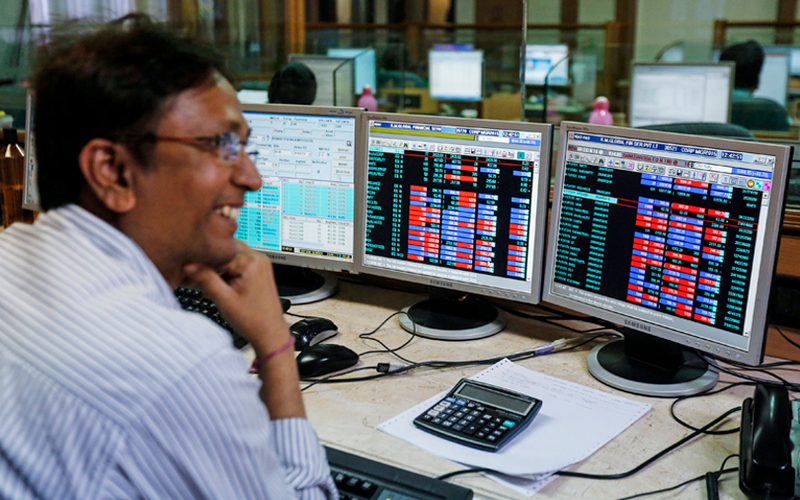 Indian shares reversed early losses to end around 1 percent higher on Tuesday, lifted by banking and energy stocks as the rupee firmed and oil prices declined. The broader NSE Nifty rose 0.96 percent to 10,582.5, while the benchmark BSE Sensex rose 0.95 percent to 35,144.49. Oil-to-retail conglomerate Reliance Industries Ltd's stock ended 1.8 percent higher and was the top boost, while that of private-sector lender ICICI Bank Ltd climbed 2.4 percent. Eicher Motors Ltd, up 6 percent at its best close since mid-Oct, was the top percentage gainer on the Nifty. The company said a 50-day strike at Royal Enfield's Oragadam facility ended effective Tuesday. Shares of oil marketers Bharat Petroleum Corporation Ltd, Hindustan Petroleum Corp Ltd and Indian Oil Corporation Ltd climbed in a range of 3.4 percent to 4.7 percent as crude prices fell after U.S. President Donald Trump put pressure on OPEC not to cut supply to prop up the market.